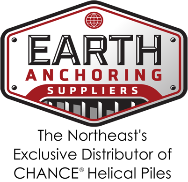 You’re the newest team member at EAS, how did you get into the helical pile business? What has been your biggest challenge(s) so far? What are the biggest concerns you hear from installers, engineers? If you could change one thing in the helical pile business what would it be? What’s been the most satisfying part of working in Helical Piles?